When it comes to taking care of your family, we take our jobs very seriously. To us, family dentistry is about more than just checkups and cleanings. We work one-on-one with our patients to deliver a customized preventive approach that yields the greatest benefit. Having healthy teeth is important not just for your oral health, but your overall well-being, too. To start your family on the right path towards having a healthy smile for years to come, Dr. Joe Isaacson is your family dentist in Oklahoma City, OK. His team will provide all the comforts you and your family deserve while providing gentle care that you won’t find anywhere else. 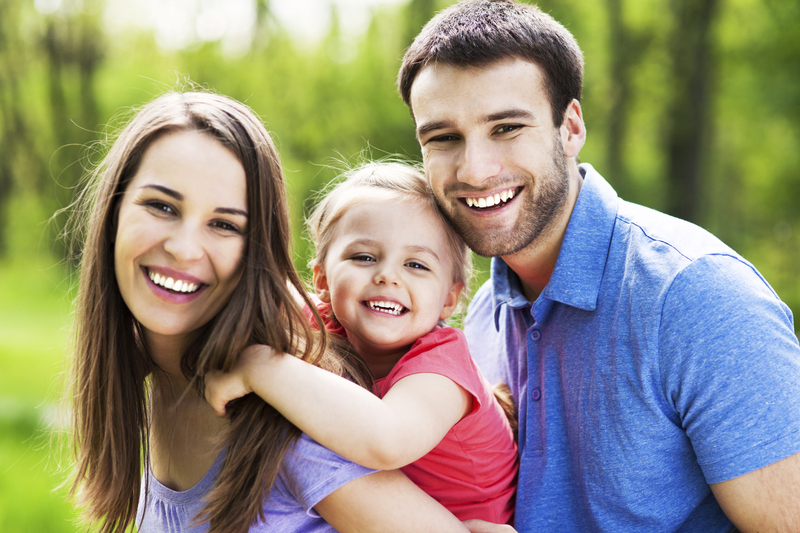 Providing excellent family dentistry services is what we do best! Strong, healthy teeth are important. How important? Let’s start off with the basics, like eating. A healthy set of pearly whites allow you to chew freely, which promotes proper digestion and a healthy diet. On the flip side, a glowing smile will encourage you to meet new people and lead an active lifestyle. No matter how you slice it, having and maintaining a healthy oral regimen is important for your family. Dental sealants – think, plastic coatings that form a barrier against decay. Fluoride supplements – gel, foam or paste that strengthens softened spots on teeth. Athletic mouthguards – custom-fitted mouthguards for athletes of all ages. Nightguards – custom-made, anti-grinding devices to prevent unnecessary tooth wear. Oral cancer screenings – examining oral tissues to detect suspicious areas in the earliest stage. At-home hygiene guidance – recommendations for products and techniques to use at home. Dr. Isaacson will ensure you and your family’s smiles stay disease-free for years to come. As a family dental practice, we help patients of all ages understand and maintain their oral health. Dr. Isaacson has always said, “An ounce of prevention is worth a pound of cure.” With proactive prevention, we can help you avoid tooth decay, gum disease, bad, breath, dental injuries and more. Oklahoma City family dentist Dr. Isaacson and our team are here to answer any questions you may have. Your family’s dental health is a serious matter, and we aim to provide dental care that goes above and beyond your expectations. We proudly serve all patients in and around the Oklahoma City, OK area including Bethany, Forest Park, Edmond, Piedmont, Arcadia and beyond.